This Award has quite a wide geographical spread, with Coffee Spots from Philadelphia, New York City and from across the UK from Exeter to Cardiff, Birmingham, Tring, Leeds and York. New York‘s Bluebird may be the friendliest coffee shop I’ve visited in the US. 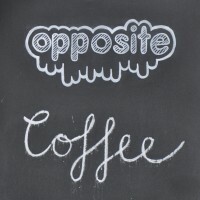 Starting with the Barista, Ben, & running through the customers, everyone seemed happy to chat, but not in a pushy way. It is pretty much the perfect coffee shop atmosphere. Also shortlisted for the Smallest Coffee Spot Award. If I lived in/around Philadelphia, I could see the delightful Menagerie Coffee, just off Market Street down near Penn’s Landing in the Old City, becoming a regular haunt. The coffee is also superb, with Dogwood Coffee from Minneapolis providing the house-blend and various guests on filter. Serving a traditional coffee-shop menu, with breakfast/brunch served until two in the afternoon and lunch served from 11:30, the Espresso Lounge marries typical, local coffee shop fare with excellent coffee, including espresso and a selection of single-origin pour-overs. The first word that springs to mind when stepping into Brewsmiths is “cosy”, followed by “friendly” and “upmarket greasy spoon” (three words). Whatever the description, Brewsmiths is a neighbourhood coffee shop under a Birmingham station and in the running for Best Coffee Spot near a Railway Station. 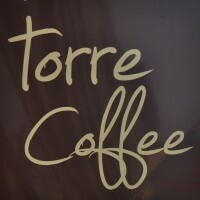 An Italian-Romanian collaboration in the heart of the Welsh capital, serving James Gourmet Coffee from Ross-on-Wye on the English side of the Welsh border, Torre is a lovely place, which gives you a warm, friendly welcome. As well as the usual espresso-based coffee menu, there’s bulk-brew filter, loose-leaf tea, full breakfast and lunch menus, plus pastries and cakes, the latter baked on the premises. The second of York’s Perky Peacocks, this one focuses more on food, with an impressive brunch offering, which is served until 3 o’clock each afternoon. Naturally, I arrived at 3.15. With an impressive range of seating in such a small space, it’s a lovely spot. Out in Chapel Allerton, in the leafy suburbs north of Leeds city centre, is the third of the city’s eclectic local chain known as Opposite. It’s a lovely little spot, exuding charm all the way from the big windows at the front to the massive chalk drawing on the back wall and is definitely rooted in its community, where it offers excellent coffee (from London’s Square Mile, plus regular guests) and some decent food. A special mention also needs to go to Coffee Affair, another Coffee Spot under a railway station, this time in London, Fred & Ginger Coffee, just down the road from The Espresso Lounge in Tring, Charlie’s Coffee Shop in St Albans and Leith’s Printworks Coffee, all of which could have made the shortlist this year.